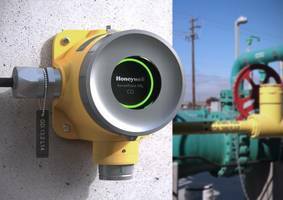 SMITHFIELD, R.I., March 22, 2017 - Honeywell (NYSE:HON) today announced that four of its safety products have won 2017 iF Design Awards in recognition of their outstanding innovation and user-focused design. An independent jury of 58 design experts selected Honeywell Industrial Safety’s BW Clip4 portable gas detector, the Sensepoint XCL and XRL fixed gas detectors and the Honeywell Mad Air respirator for 2017 product design awards as part of the iF International Forum (iF) Design competition. The Honeywell products, from among a field of more than 5,500 entries from 59 countries, won based on their innovation, usability, ergonomic design and design quality, as well as aesthetic and emotional appeal. The iF Design Award is among the most prestigious and largest design competitions in the world. Held annually since 1953, the competition attracts thousands of entries to select the world’s best products for their exceptional design. BW Clip4 – a portable multi-gas detector for workers in extreme environments; designed to be low-maintenance and work continuously for up to two years; features a simplified user interface. Sensepoint XCL – available in April, a smart gas detector that monitors for hazardous gases; designed for a broad range of commercial facilities, which can be set up, maintained and managed with a smartphone and downloadable app. Sensepoint XRL – available in May, offers the same functionality and ease-of-use as the XCL but features a more rugged design for use in industrial facilities. Mad Air Respirator – available in June in China, this smart electronic dust mask has a sensor and active air supply fan to adjust air volume to a user’s breathing pattern.